The Princeton Day School project was a renovation of a 9,800 square foot space, which services 875 students and 175 employees. The newly renovated space needed to be flexible for foodservice, meeting space, and fencing or athletic activities. An outside deck for dining was also incorporated into the project. 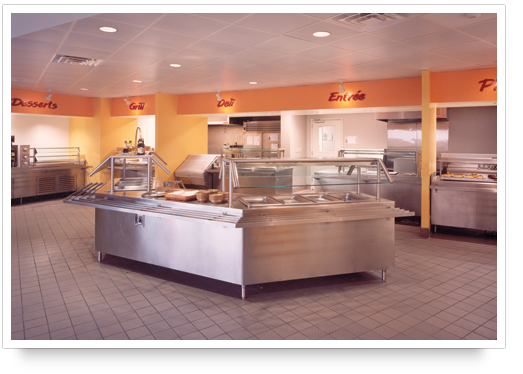 The foodservice area accommodated a multiple choice menu in a food court setting with the selection base consisting of deli, pasta, pizza, grill, main entrée, salad bar, desserts, and beverages. The desire for flexibility was also incorporated into the individual stations. The entire renovation took place during a 10-week period while school was out of session.